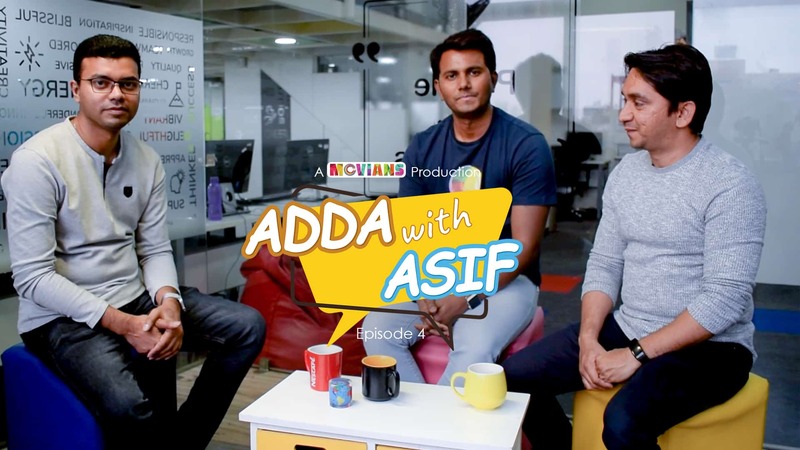 Here is the Full Version of the 4th Episode of ‘Adda with Asif' where I had Aslam Multani & Anil Gupta, from Multidots! This is the first Adda in English! Multidots has a very unique company culture, which impressed me years ago! In this informal discussion (Adda) we spoke how they started, their childhood, the first 5 year struggle of the company, and the key to their success. This Adda has several candid moments which anybody related to WordPress or service business or from this Indian sub-continent should purely enjoy. Special Thanks to Priyanka Behera, Kaushik Baroliya, Parth Pandya, Purnendu Dash, Fahad Ibna Wahab & our Movians Team!